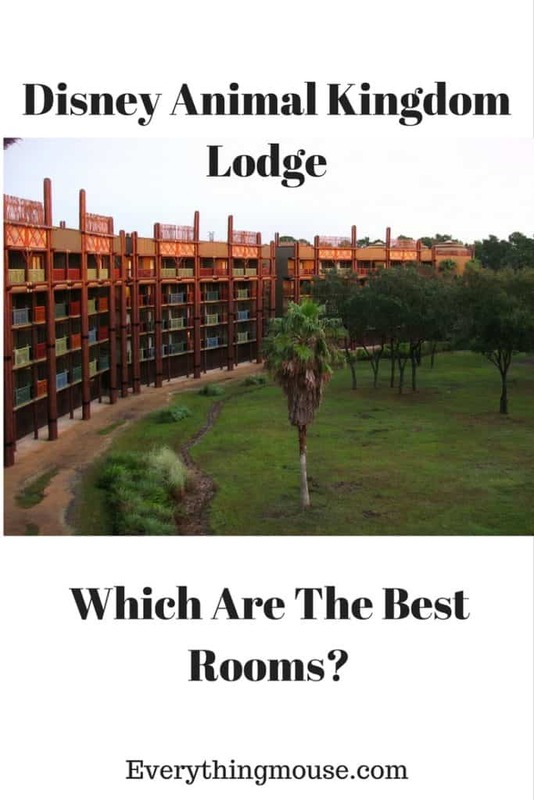 / Disney Animal Kingdom Lodge Resort Hotel – Which Are The Best Rooms? Disney Animal Kingdom Resort Hotel and Villas is one of the most unique and sought after hotels in Disney World. 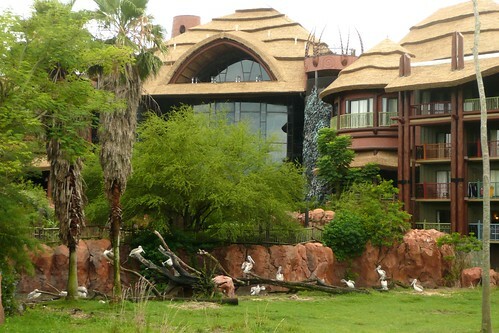 The Animal Kingdom Resort Hotel is a deluxe Disney hotel which is a wonderful resting place. Close to the Disney parks, but away from the crowds, Disney’s Animal Kingdom Lodge is a resort which has to be experienced to be believed. 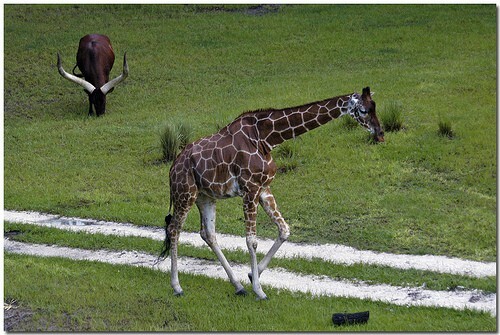 The main attraction, of course, is that Animal Kingdom Lodge and Villas are set in a 43-acre wildlife preserve. The savannas have 200 animals and 130 birds including giraffes, zebra, ostrich and impala. The main building of Disney Animal Kingdom Lodge Resort Hotel is the Jambo House which opened in 2001. There is also Kidani Village which is a separate building which offers studio, one, two and three-bed villas. The Disney Animal Kingdom Resort is huge and Jambo House and Kidani Village each have their own separate facilities such as restaurants and pools. For this guide, we are discussing only the rooms in the original Jambo House. There are 972 rooms in Disney Animal Kingdom Lodge Jambo House. The building has 6 floors with rooms and some suites on each floor. The suites are located on the 5th and 6th floors. 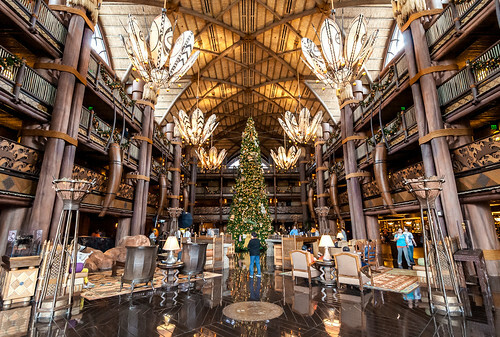 You enter the Animal Kingdom Lodge on the third floor – the lobby is one of the most impressive of all of the Disney Hotel Resorts. As you would expect, deluxe rooms are larger than the standard rooms. The deluxe rooms are all on the 5th and 6th floor and are 381 square feet. The standard rooms are found on floors 1 to 4 and are each 344 square feet. Almost all of the Disney Animal Kingdom Lodge Resort Hotel rooms have balconies. Some rooms have 2 Queens, others have 1 Queen and a Bunk Bed. The bunk bed rooms at Animal Kingdom Lodge tend to be very popular. There are 79 King bedrooms and 65 accessible King bedrooms. What Are Rooms Like at Disney Animal Kingdom Lodge Resort Hotel? The rooms at Disney’s Animal Kingdom Lodge are beautifully decorated with carved wooden furniture and an overall color scheme of muted browns. The rooms are not particularly large, most being 344 square feet in size. 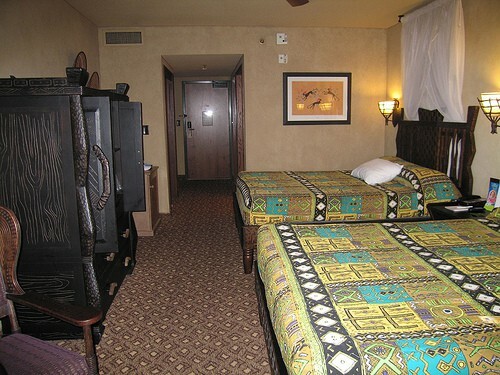 Most of the Jambo House rooms have 2 Queen Beds. There are some available with a King which also have a Day Bed. There are also some rooms with one Queen bed and a bunk bed – these are very popular with families with young children. The bathroom is pretty standard with a shower over the bath. Most have a sliding door to maximize the space. There is a double sink with granite countertops outside the bathroom. The bathroom is fine, but really nothing special. The one criticism of the rooms at Animal Kingdom Lodge is that they are a little dark. The sink area is particularly dark – not great for doing your make up in the morning! All of the rooms in Jambo House have balconies. This is always a great feature but is an outstanding asset if you have a Savanna View Room. 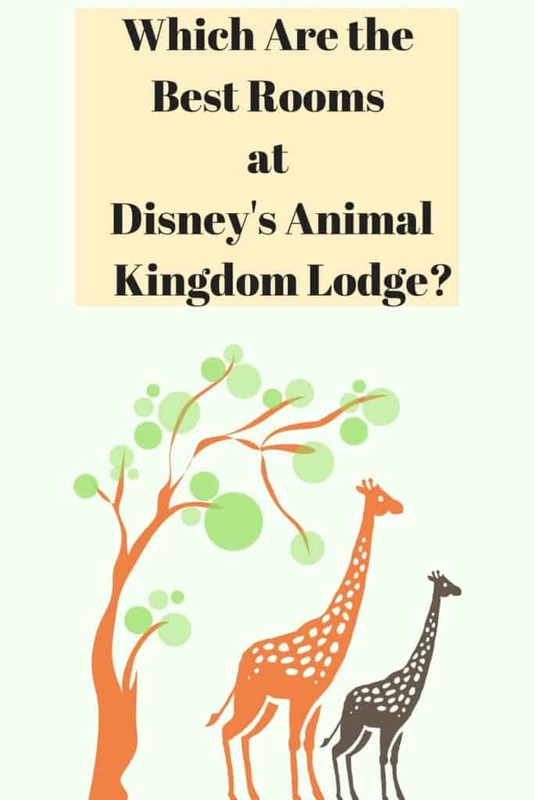 Should I book a Disney Animal Kingdom Lodge Resort Hotel Savanna View Room? 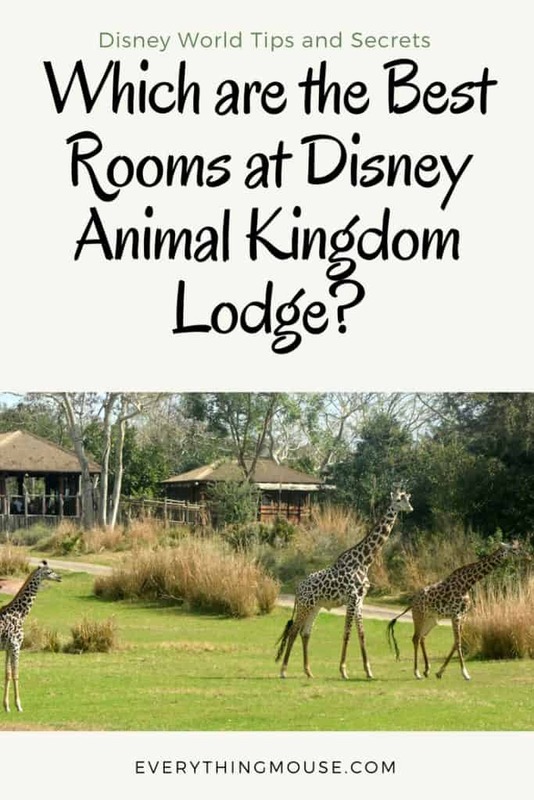 The biggest choice you have to make when you book an Animal Kingdom Resort Hotel room is whether you are going to spend the extra dollars on the Savanna view rooms. 724 rooms are Savanna View, 135 are Standard View Rooms facing the parking lot, and 136 are Pool View rooms. There are also 33 Deluxe Pool View rooms, 191 Deluxe Savanna View rooms and 55 Concierge rooms. Are the savanna view rooms at Disney Animal Kingdom Lodge Resort Hotel worth the splurge? In my opinion, if you are staying at the resort then you really should spend the premium on the savanna view rooms. There is nowhere else like it on this continent and if you want something really special then you should go for it. But the other side of the argument is that you will save extra cash if you have a standard or pool view. The pool views are very nice and worth the extra charge over the standard view rooms. How much is the price difference for the savanna rooms? If you look at the rack rates for Animal Kingdom Lodge for a Regular Season weekday from 12th November to 19th November 2018 you will pay $388 for a Standard View, $488 for a Pool View, $531 for a Bunk Bed Pool View and $573 for a Savanna View. These prices are rack rates at Disney Animal Kingdom Lodge – you can often get a discount on these rates. If you look at those rack rates you will save almost $185 a night by opting for the Standard View over a Savanna View. You will save $85 if you opt for a Pool View instead of a Savanna View. Those savings can add up. It is extremely nice to have a view of the animals from your balcony but you must ask yourself how much time you will spend in your room. Is it worth an extra $185 a night for the view or should you just enjoy the hotel and see the animals from other viewing points around the resort? There are plenty of places to view the animals from both inside and outside the resort so you may decide that waking up to the view simply is not worth the extra cost. Really only you can answer the question of whether the extra cost of a Savanna View is worth it. We think that it is and would always opt for a Savanna View if possible. 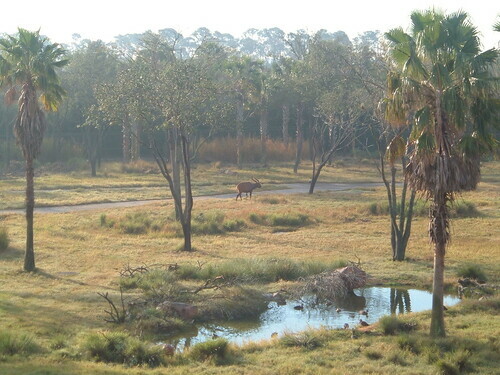 Do not go to Animal Kingdom Lodge having booked a standard view thinking that you will be upgraded to a savanna view. Upgrades do happen. but they are rare. Never expect a Disney room upgrade. Just be thankful if you ever get one! 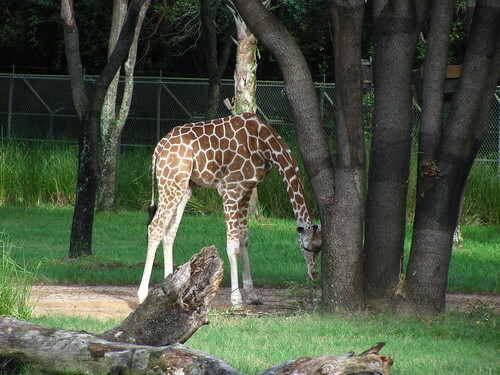 Where Are The Best Savanna View Rooms At Disney Animal Kingdom Lodge? 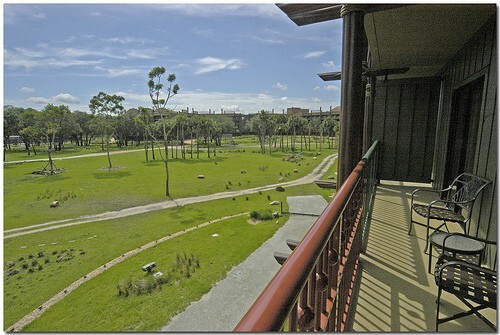 If you have decided that you want to book a Savanna View at Animal Kingdom Lodge the next consideration is which Savanna and which floor. Some views in Disney’s Animal Kingdom Lodge Jambo House are better than others. The best views are from Kudu Trail and Zebra Trail rooms. But it is more complicated than that! 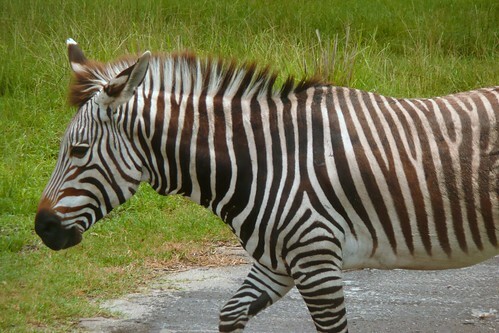 The odd number Zebra trail rooms overlook the Arusha Savanna – this is seen as the best and it’s rooms attract a premium. 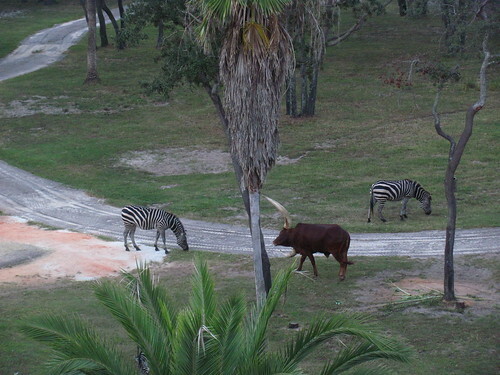 The even-numbered rooms on the Zebra Trail overlook the Uzima Savanna. The odd number Kudu trail rooms overlook Arusha Savanna. The even numbers are overlooking the Sunset Savannah. The Arusha Savanna rooms are most definitely the most sought after – and are sold at a premium. Ostrich Trail even-numbered rooms overlook the Sunset Savanna. The odd-numbered Ostrich Trail rooms overlook the valet parking area and resort entrance. The even-numbered Giraffe Trail rooms overlook the pool. The odd numbers have a view of the valet area and resort entrance. One of the things you really need to think about when choosing which room to pick is how long you will actually be in your room. There are plenty of animals to see but there are definitely some times when you need to look carefully! Of course, animals come out at feeding time and there are specific areas where they are fed. Getting a room close to these areas means that you are much more likely to see the animals. The best rooms for being close to the feeding areas are on any floor the rooms numbered 572 to 584 (there will be an additional room number at the front corresponding to the floor, for example, 2572 is on the 2nd floor, 4572 is on the 4th). Also, rooms numbered 541 through 555 at Disney Animal Kingdom Lodge Resort Hotel have a great view of the feeding areas. To complicate matters, even more, each savanna has its own type of animals. So if there is one you particularly like then check it is on the list! Sunset Savanna has Male Giraffe, Bongo, Impala, Thompsons Gazelles, Ostrich, Stork, Blue Cranes, African crown cranes, Ankole Cattle, and Waterbuck. As you will see, another reason why the Arusha Savanna view rooms are popular is that this is the only one with the zebras! Which floor has the best views? Really the best are the 3rd and 4th floor as they are far enough up but not too high. 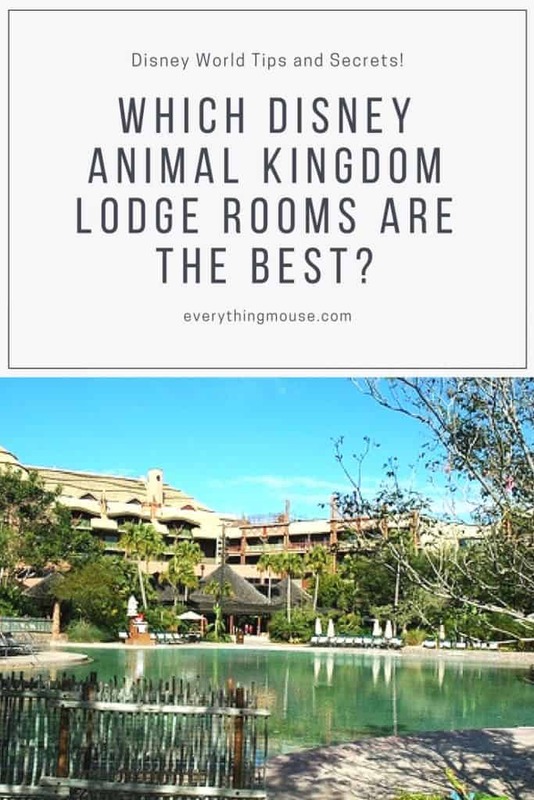 In summary, the best and most sought after Disney Animal Kingdom Lodge rooms are generally acknowledged to be the Arusha Savanna rooms. But if you want to save some extra dollars it really is worth thinking about those standard and pool view rooms at Disney’s Animal Kingdom Lodge Resort.